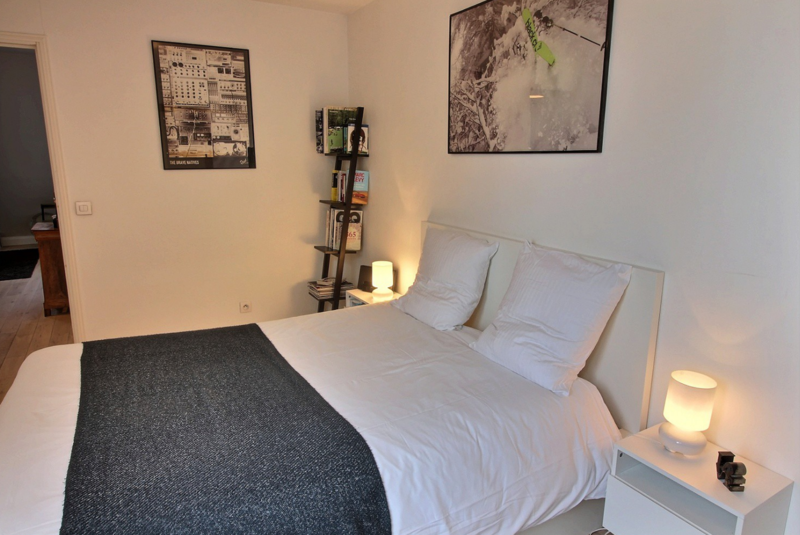 This fantastic apartment is located in the center of the city perfect for exploring during your stay everything that the capital has to offer! Renovated at the end of 1980s, the area surrounding the rue Montorgueil has seen a renaissance in the last few years. This used to be the center of the textile industry in Paris, but now guests will find cobble stone pedestrian streets lined with outdoor markets and many restaurants. 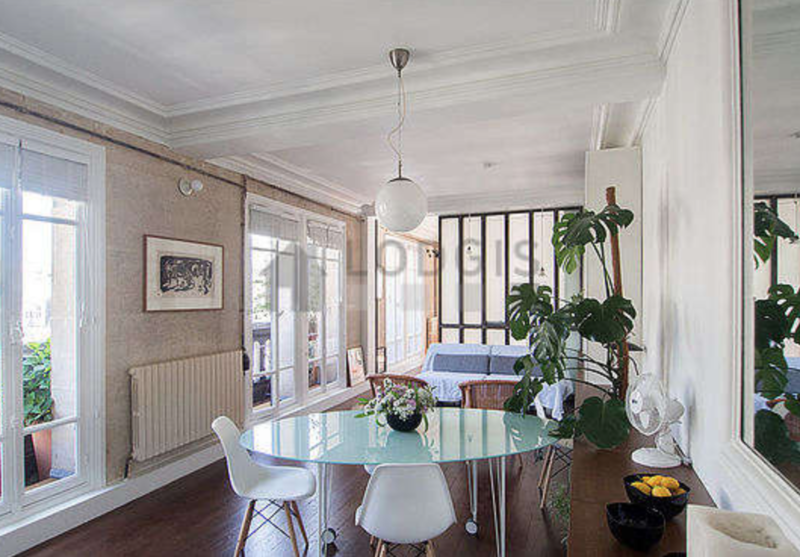 The atmosphere gives the impression of a small village on market day while still be a short walk to the major transportation center of Les Halles and Chatelet. 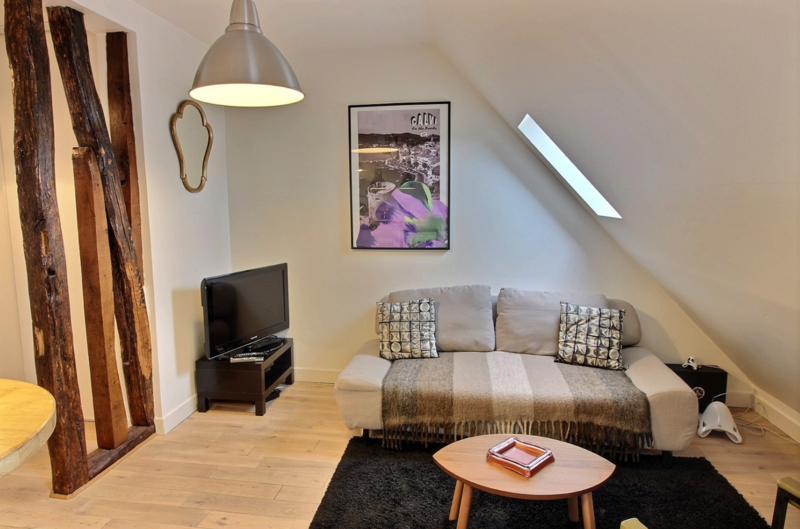 The apartment is located on the top floor with an elevator providing a great view of the Paris rooftops. 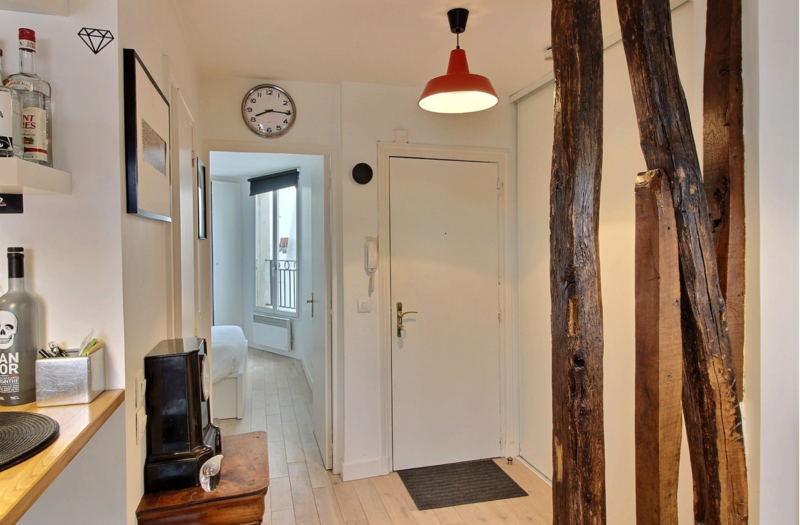 As guests enter they are greeted by original exposed wooden beams separating the living area from the entryway. In this entryway you have a large closet for storage of any personal affairs or baggage. 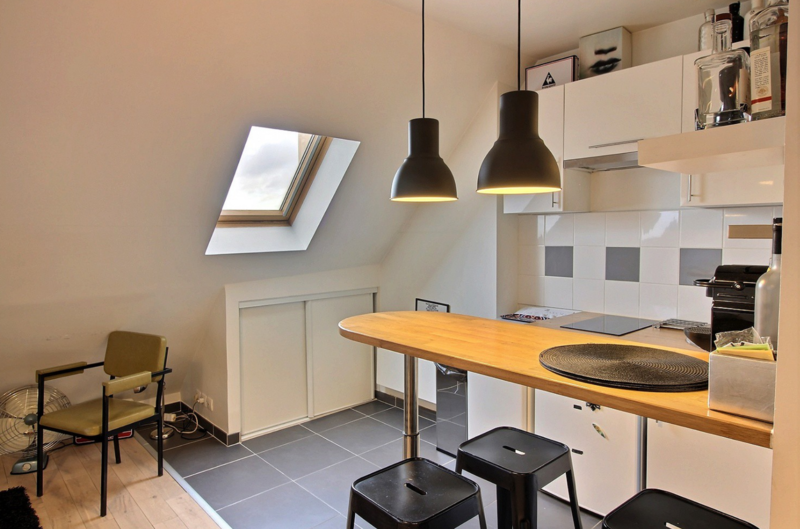 The living area in front of this is charming with its slanted roof and view out over Paris. There is a sofa and television in this area and it is open onto the kitchen. 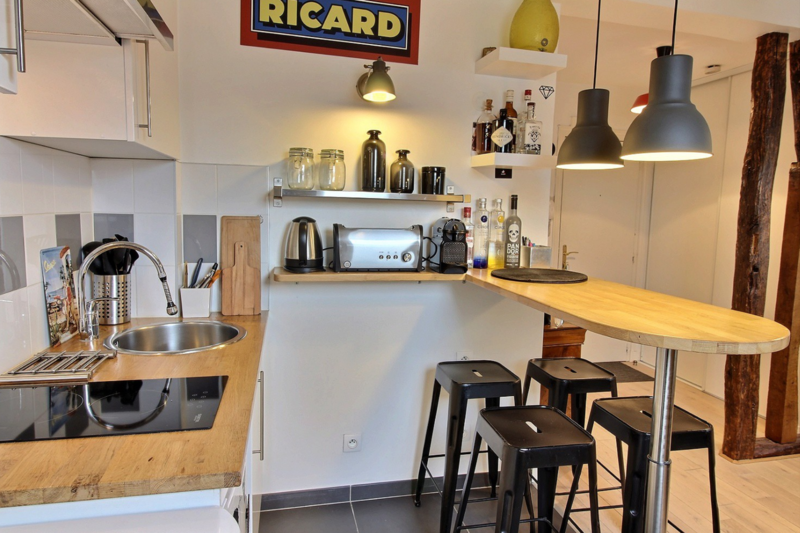 The kitchen is separated from the living area has bar with space for 4 people. 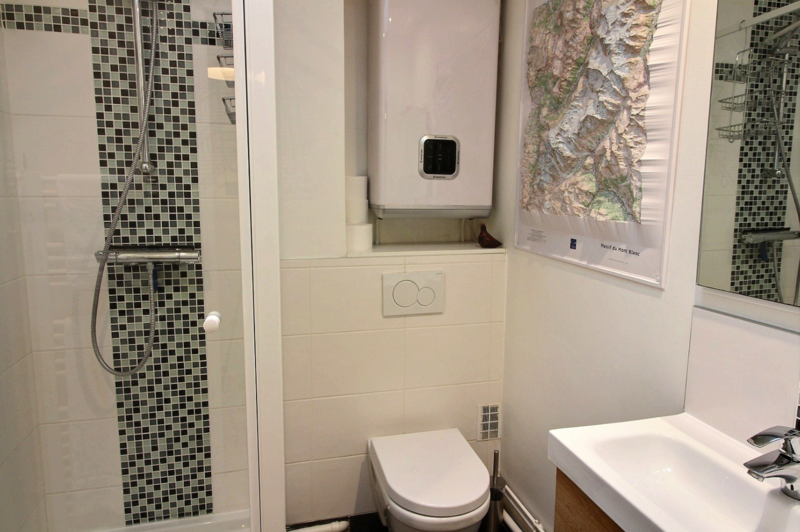 The kitchen itself is fully equipped and has a washing machine. Off of this main living area is the bedroom that looks out over the courtyard and has black out curtains. 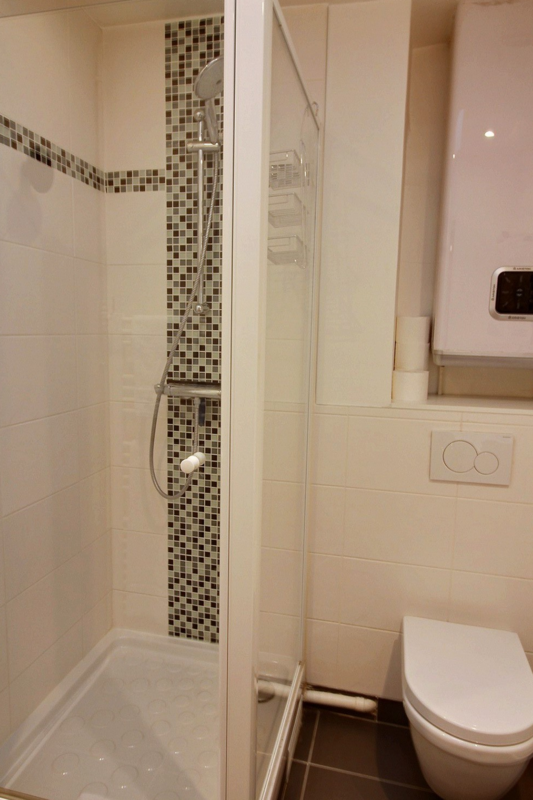 The bathroom, off the entryway, has a shower and WC as well as a towel drying rack. 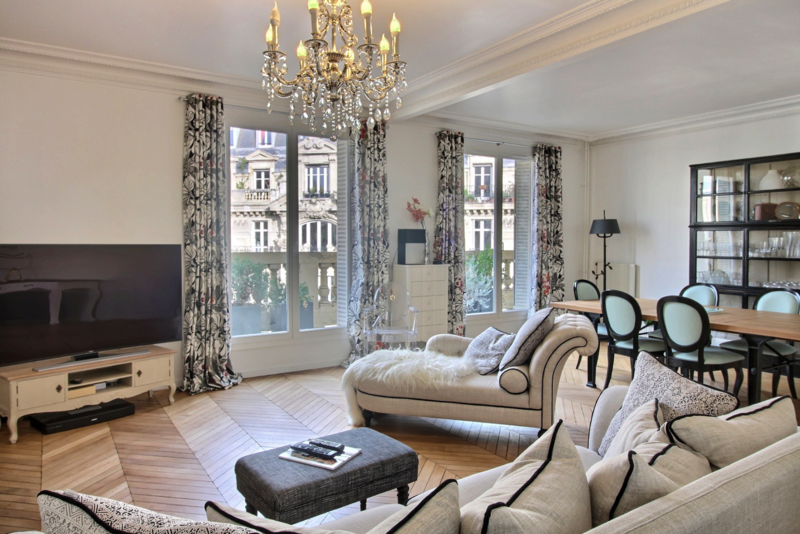 This apartment is perfect for a short stay in Paris. 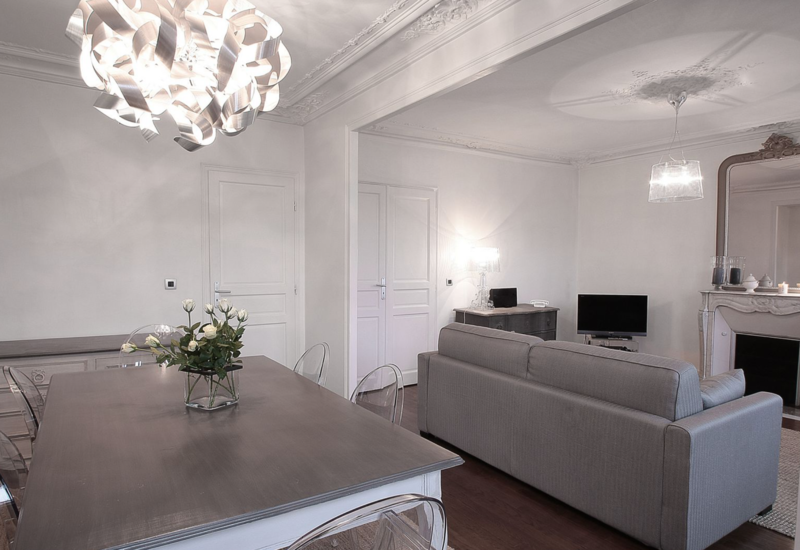 It is perfectly located so that guests have access to all of Paris.